Electric Forest Festival | First Weekend June 21 to 24, 2018 | Second Weekend June 28 to July 1, 2018 - 365 Festivals :: Everyday is a Festival! If you are party animal then surely you knew what Electric Forest Festival is all about. In fact, no place can match the energy of Sherwood where the festival organizes. The music was on the peak, and the excitement of the public was also sky high. As soon as the summers arrive, everybody starts waiting for this festival to begin. Let’s look at some more fun details of the Electric Forest Festival. Electric Forest Festival was the rebirth of Rothbury Festival. It started off in the year 2011 after the gap of a year. This event stretches for two weekends or eight days in the woods of Rothbury, Michigan. Many time this fest falls on the weekends of Independence Day or Labor Day. Ultimately, it gives a chance to make their summers eventful. As the night grows, the music gets louder and louder. With all day all night fun in the wild, it is an event to remember. Of course, the music played at this event are of every genre but electronic and jam band is its biggest highlight. When is Electric Forest Festival in 2018 ? 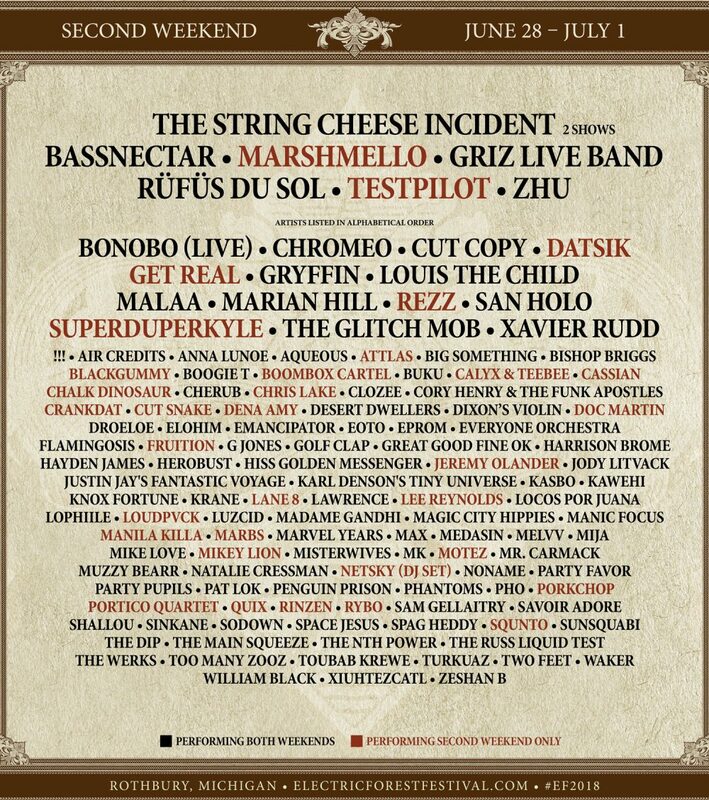 Electric Forest Festival is scheduled to be from June 21, 2018 to June 24, 2018. This event is being celebrated Thurday which is June 21 to Sunday which is June 24 for First Weekend. Electric Forest Festival is scheduled to be from June 28, 2018 to July 1, 2018. This event is being celebrated Thursday which is June 28 to Sunday which is July 1 for Second Weekend. 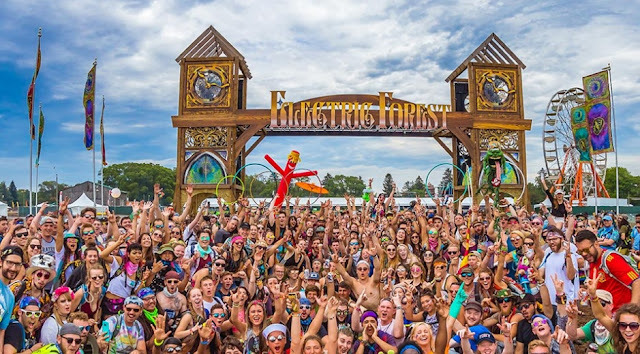 The Electric Forest Festival is the recreation of Rothbury Festival, so its history also starts from there.Rothbury Festival began in the year 2008 and took place in the Double JJ Resort of Rothbury. The main focus of commencing this festival in woods is to spread awareness about environmental issues. The two environment issues it accounts for are the current climate change and encouraging the use of clean energy. Hence it was a kind of movement for waking people about these environmental issues. The organizer of this event also introduces a unique part of it and, it is Think-tank. The Think-tank comes up with the discussions intend to build awareness and social interaction in viewers. It was a four-day event in which around thousands of performances take place. The organizers take special care to lessen the harm to the environment. 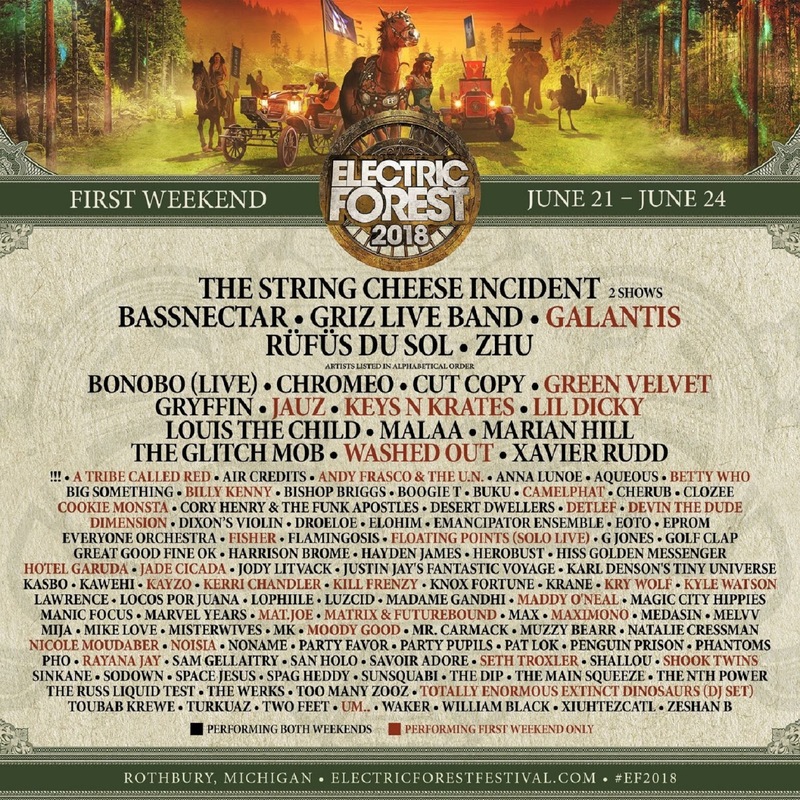 After not organizing this festival in 2010, the maker in 2011 changed its name to Electric Forest festival. How and When Electric Forest Festival is celebrated? The event holds a grand celebration in the exquisite backdrop of woods. Moreover, the beauty of the surrounding and energy in the audiences is a watch indeed. Some of the eye-catching views of this event include fantastic light decoration, artworks, and sculptures. Of course, a large crowd gathered from different parts of America just to be a part of it. Furthermore, the line-up of this event began preparing to list the name of the band or artists performing here. The list of the music bands participating in the event goes on changing every year. What do people do at Electric Forest Festival? Everyone who ever went to this event must agree that it is the best part of summer. People along with their family and friend visit Michigan for this event. For four days, they completely relax and play in the water, mud, and sun. Overall the aura of the place is fun-filled and electric. One can enjoy a variety of activities in these four days. Such as water park, yoga, horse riding, golf championship, swimming pool and many more activities. Not only this, the Double JJ resort left no stone unturned in providing the best service. They offer state of the art setup along with services for staying, bar and food corner. In its first celebration in 2008, they register 30,202 visitors from which they collected 60,404$. The organizers donated this money to Grant Township. The event did not take place in 2010. The organizers send out a message stating the reason behind it. According to this many big names of music took off their names. They are not able to perform due to lack of time and shooting schedule. So, the organizers canceled the event.